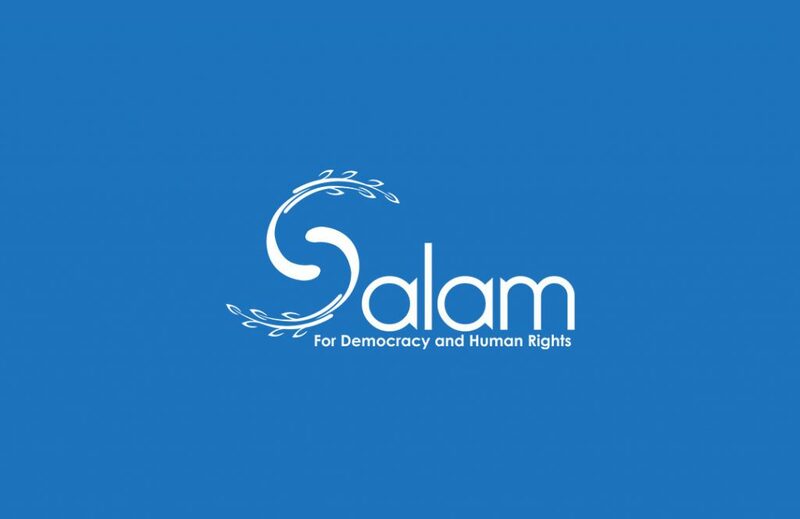 SALAM for Democracy and Human Rights is an NGO that endeavors to preserve universal principles of dignity and respect by shielding democracy and human rights. We conduct monitoring and analysis, produces reports, develop recommendations on policy and legislation, organize advocacy campaigns, and builds effective coalitions. We are actively involved in articulating NGO positions at the UN Human Rights Council, the European Parliament, and various domestic bodies. No national consultation “as per UPR mechanisms” took place in drafting the national report. And persecution of Former MPs. Education is a basic human right guaranteed and safeguarded by all international covenants, conventions and agreements. It is the fundamental right of all human beings, without discrimination based on affiliation, race, colour, language, religion or other reasons. Nonetheless, in Bahrain, since 2011, the Ministry of Education has increased the level of discrimination in curriculum, employment and promotions, and distribution of scholarships, targeting Shia citizens, especially, by way of reprisal for their participation in public protests calling for reforms. There were no recommendations made by countries in this specific part that would cover discrimination in education. In 2011, around 9,000 teachers and educators participated in public protests, demanding a peaceful and democratic transition. The Bahrain Teachers’ Association (BTA) initiated a three-day strike, calling for improvements of the education system. As a result, a number of them were arrested, abused, and tortured. The president of the BTA, Mahdi Issa Mahdi Abu Deeb, and the vice president immediately lost their jobs and sentenced to prison, being charged with ‘inciting hatred of the regime’ and ‘attempting to overthrow the ruling system by force’. Mahdi Abu Deeb has since fully completed his sentence, while all attempts to appeal his sentencing during his imprisonment was quashed. The senior positions in the Ministry of Education have been occupied by pro-regime personnel, while Shia teachers, who constitute the majority of population, or anyone that has mentioned opinions contrary to the Bahrain Government, have been marginalised from high-ranking positions in decision-making, supervision and mentoring other teachers. The government of Bahrain has deliberately imposed a biased curriculum of religion and belief on public and private schools, ignoring various religious denominations in the country. Shia specialist teachers have been marginalised from the Ministry of Education’s Curriculum Directorate. All students have been forced to learn the principles of Sunni doctrine in the official curriculum, and no other sects or beliefs are permitted to be taught on the official curriculum. This indicates the government’s lack of commitment to neutrality in this matter, in addition to their practice of discrimination and failure to treat a group that represents the majority of the population on the basis of equal citizenship. It was reported in 2016 that 1,573 Bahraini teachers, all of whom are Shia, were unemployed, while the Ministry of Education newly hired 3,110 volunteers, despite strong claims regarding their lack of educational qualifications. Meanwhile, foreign teachers have readily been employed, representing 20 percent of the total number of employees in the educational sector. Furthermore, a number of Shia employees in education have been arbitrarily transferred to lower positions or positions that do not come within their area of expertise, or assigned tasks that do not match their job title. Scholarships represent one of the manifestations of blatant discrimination and sectarian oppression in Bahrain. Shia students have been deprived of their rights amid a sharp increase in discrimination in the distribution of scholarships. Between 2011 and 2015, 127 out of 630 students were stripped of scholarships due to the biased and unfair selection processes. Many were stripped of their scholarship whilst abroad studying, after they were accused of allegations that were not corroborated. In 2015 alone, 34 percent of the top-grade students were deprived of scholarships, which has caused observers to rightly accuse the authorities of distributing educational support based on students’ political or sectarian affiliation. Medical neutrality should be guaranteed as a fundamental right both for medics and those who need medical services. Physicians must be allowed to care for the sick and wounded without any external pressure. Likewise, all individuals should be provided proper treatment regardless of their political or religious affiliation. In Bahrain, however, medical services have been severely interfered by the authorities since 2011. Medical facilities have been prevented from offering all their services, and relevant personnel have been targeted for humiliation, physical and psychological abuse, and incarceration. In particular, Salmaniya Medical Complex, the only-full service public hospital in Bahrain, has been a centre of discrimination and repression against health professionals. Security forces occupied and controlledthe complex to hinder them from providing medical treatment to the injured in retaliation for their participation inanti-government demonstrations. Doctors and nurses were subjected to verbal, psychological and physical abuse at the complex, and medics who attempted to approach injured protesters at the Pearl Roundabout were harshly beaten by security forces. A number of them were arrested and tortured only because they provided their medical services to citizens injured by gas inhalation, muscular skeletal injury, and shotgun wounds due to the harsh crackdown by security forces. Within the space of a month, between April and May 2011, more than 170 medics, including doctors, nurses, and paramedics, were interrogated and arrested. The Ministry of health prevented ambulances from taking emergency patients injured during the protest, and the Emergency Unit was completely blocked by security forces. As a result of the misuse of medical facilities, citizens have had their basic rights for medical treatment unlawfully infringed on. Another example, the responsibility of Ambulances medical services is transferred to Ministry of Interior. In 2011, 20 medics were put on military trial, and sentenced between 5 and 15 years, under charges of felony and misdemeanours. For instance, Dr. Ali Al-Ekri, a renownedpaediatric orthopaedic surgeon was sentenced to 15 years, later reduced to 5 years after appeal, being accused of felony. He had been working at the Salmaniya Medical Complex for more than 20 years, and well-known for his humanitarian volunteering work. During the protests in February 2011, he offered emergency treatment at the medical tent and helped in evacuating women and children, which caused his arrested in the following month.He has repeatedly claimed that he was tortured by members of the security apparatus, and that he lost consciousnessmany times as a result of this. Roula Al-Safar, a professor of nursing and the Present of the Bahrain Nursing Society, was also charged to 15 years in prison, later reduced to 5 months, due to her volunteered assistance for injured protesters in February 2011. Since 2011, up until now, the Bahraini government has transformed public hospitals to de facto military institutions. The Ministry of Interior has implemented tight control over medical services, barring injured citizens during peaceful demonstrations from accessing necessary medical care. Checkpoints were set up, and military tanks reside at the complex. The Ministry of Interior set up a massive CCTV camera system, rendering medics to severe psychological pressure. The hospitals and medical centres have become a place that cause fear, compelling patients to give up access to hospitals for other homemade remedy – a decision borne out of legitimate fear. The administration has largely been replaced by military personnel. Salman Ateyatallah Al Khalifa, who was in charge of the Bahrain Defence Force (BDF) hospital, took control of the Salmaniya administration. He was later promoted to the head of the King Hamad Hospital, despite the open and severe violations committed under his supervision at the Salmaniya. His legacy remains, with any imprisoned protester, who has been sentenced and jailed, being brought in and handcuffed to the bed, as seen in all cases regardless of incapacity and age. The Bahrain Medics Society, which was first established in 1972, engaging doctors in social services and academia, has been targeted by the authorities, suffering as a result with discrimination and persecution. On 17 February 2011, the group officially condemned the use of violence and the prevention of medical professionals from carrying out their duties. A march was organised by medics at the Salmaniya Medical Complex, urging the Minister of Health to resign. As a consequence, its board of directors was dissolved, and the chairman, Ahmad Jamal, was arrested. His position and the board were replaced by personnel appointed by the Ministry of Social Development. Nabeel Al Ansari, the appointed new head of the Bahrain Medics Society, has been widely accused of falsifying campaigns against medics and defamation legitimate concerns aired by medics.He has never been questioned, and has sincecasually left Bahrain for Canada. In 2011, Members of Parliament (MPs) from the opposition bloc resigned in protest over violent crackdowns of the authorities against public demonstrators calling for comprehensive political reform. Since then, the Bahraini authorities have targeted former MPs for exercising their parliamentary right of supervision and accountability. It is worth mentioning that these MPswere democratically elected by citizens to represent their rights and interests. Therefore, the oppression on MPs is not only a form of discrimination on individuals but equivalent to an infringement of rights of all citizens, fomenting fear and despair among people. Although the vast majority of former MPs have moderate and peaceful views in regards to political reform, their justifiable demands for transparency, rule of law, and the empowerment of parliament have been branded by authorities as ‘extremist and radical’ propaganda. As a result, a number of former MPs have been targeted and punished for their political views, many of whom come from different backgrounds and sections of society. Khalil Marzooq, MatarMatar, Osama Al-Tamimi, Hasan Sultan, Hasan Isa, Jawad Fairooz, Jalal Fairooz, Khalid Abdilaal, Sayed Jamil Kadhem, Majeed Al-Sabi’, and Sheikh Ali Salman have been targeted by the government due to their critical stance against the government. Their cases clearly illustrate the extent the Bahraini authorities are going to ensure a constricted policy on freedom of opinion and expression against all citizens, and is further proof of the absence of democracy in Bahrain. The courts have exhibited a clear bias towardspolitically-motivated verdicts, relying on false testimonies, issuing massive sentences, and giving green-lights for death sentences despite international condemnation. Sheikh Ali Salman, the Secretary General of Al-Wefaq, the most influential and largest political group in Bahrain, has been sentenced in July 2015 to four years in jail, after being convicted of inciting hatred and calling for forceful regime change. His sentence was bizarrely intensified to nine years after an appeal by his defense counsel. In the same year, former MP Jameel Kadhim, chairman of the consultative council of Al-Wefaq, was arrested for ‘making false allegations that undermined national elections,’ after criticising the role of political money in decision-making and sentenced to 6 months in jail. The revocation of nationality has been an instrument for the Bahraini authorities to punish political dissidents. Targeted MPs have not managed to escape such an arbitrary punishment. Former MPs Abdul Hadi Khalaf, JawadFairooz,Jalal Fairooz together with 29 other individuals, have unilaterally been stripped of his Bahraini nationality in November 2012, being charged of ‘damaging state security. Despite their moderate political view, they have been forced into exile, as they do not hold any other citizenship. From 2012 to 2017, a further 370 have been arbitrarily stripped of their nationalities, encompassing MPs, journalists, activists, scholars, and any group or individual that has criticised government actions. Since 2006, the following human rights NGOs, cultural, and political societies been dissolved: Bahrain Center for Human Rights, Islamic Scholars Council, Al Ressalah Cultural Society, Al Tawea Cultural Society, Islamic Action (Political Society), Al Wefaq (Political Society). In June 2016 the largest political society, Al-Wefaq has been dissolved and its assets sold. There was a brief and opaque court procedure, which concluded with a severe and highly inflammatory result to close the party, seize and sell its assets, with no proper and fair appeal process to contest the decision – with its Secretary General, Sheikh Ali Salman, undergoing an intensified sentence after appealing to reconsider the judgement against him. Another prominent party, Wa’ad, has also been targeted, with numerous suspension orders handed to it over the last few years. In March 2017, a case has been lodged to dissolve the party. For the Bahraini authorities to take real and tangible measures to create an environment conducive to all-inclusive national dialogue and begin reconciliation processes in order to prevent unnecessary conflict and violence. For the Bahraini authorities to stop all violations and discrimination against the rights of teachers, medical professionals, activists, and former MPs and not prejudice their freedom of expression, opinion, and assembly. For the Bahraini authorities to guarantee that no one shall be subjected to torture or to cruel, inhuman or degrading treatment or punishment, as stipulated in Article 5 of the Universal Declaration of Human Rights (UDHR). For the Bahraini authorities to immediately release arrested and/or imprisoned opposition leaders, human rights activists, teachers, medical professionals, activists, former and current MPs, and prisoners of conscience whom being charged for exercising their rights, and stop arbitrary verdicts issued against them. For the Bahraini authorities to end the practice of revoking nationality and forced exile as a method of reprisal against political opponents. For the Bahraini authorities to implement a death penalty moratorium. For the Bahraini authorities to stop all measures to ban activists from travelling to attend rights events or to arbitrarily investigate them on their return to Bahrain and protect their rights. For the Bahraini authorities to stop the siege of Duraz, and retreat the military from the area. For the international community to ensure united pressure directed at Bahrain through all legal means and urge Bahrain to rescind the arbitrary political measures that hinder freedom of expression and assembly. Bahraini authorities should implement legislation and policy changes needed to ensure the real promotion and protection of all human rights for all people in Bahrain. For the Bahraini government to accept and allow the visits of the UN Special Rapporteurs. Government officials should be urged to speak out against human rights abuses in Bahrain and draw immediate measures to prevent any further deterioration. Law enforcement agencies should publicly make commitments to investigate all religious discrimination and persecution in Bahrain. Bahraini Government should protect Shia citizens religious rights and allow their religious leaders, scholars, and institutions to exercise their rights to freedom of opinion, assembly, and religious expression.